After beating Paris Saint-Germain to the Ligue 1 title in 2016, Leonardo Jardim's Monaco squad was raided by European heavyweights. Key players Kylian Mbappe, Bernardo Silva, Tiemoue Bakayoko and Benjamin Mendy left that summer. Thomas Lemar and Fabinho departed following the 2017/18 campaign. The Brazilian solidified the French giants’ midfield, perhaps Jardim's most important player despite Mbappe's prolific scoring. His exodus may have done more to condemn Les Monagasques to a relegation fight and his former boss to the unemployment line. There's no looking back, however. Fabinho enjoys a fresh lease on life with Liverpool. The Reds are in with a shout to win the English top flight for the first time in the Premier League era. Despite starting Merseyside life on a rather difficult note, the long, lanky d-mid is coming into his own. Jurgen Klopp gradually eased him into the team. Impressive outings make him hard to rule out. Beginning his career as a fullback before transitioning to the midfield, his versatility has been of immense benefit to the Anfield side. With injuries to defenders Joe Gomez, Joel Matip, Dejan Lovren, and Trent Alexander-Arnold, Fabinho has proven very dependable. He slotted comfortably in the defence playing both as a centre and left back. While he was among the few players Klopp played in the Reds' FA Cup defeat to Wolves, the loss wasn't Fabinho's fault. With a stronger line up against Brighton in the next league match, it was a different ball game. Playing at left back this time around, the 25-year-old helped the team keep a clean sheet while Salah’s penalty secured all three points. Less advertised than Arsenal's despite their higher place in the standings, Liverpool stormed to a 20-game unbeaten run in the league before losing to title rivals Manchester City at the turn of the year. While most considered the title race on again with the margin between the Reds and defending champions down to four points, Klopp's charges held their nerve to win the next two games, holding the Sky Blues at bay. 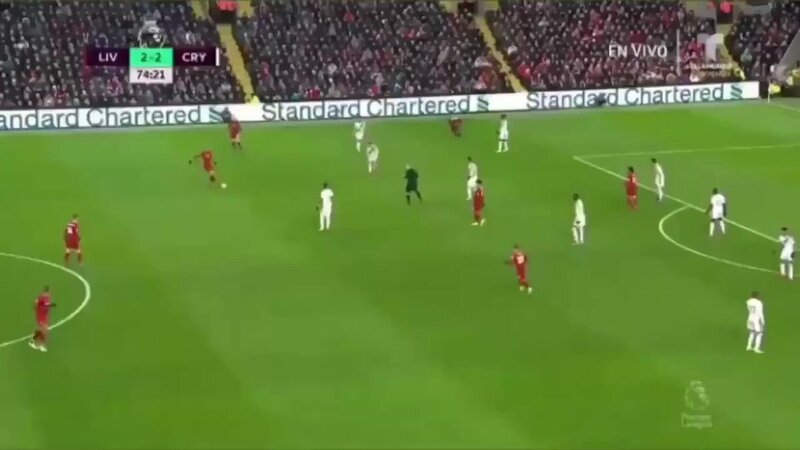 Fabinho's steady play has been crucial to righting the Anfield ship. The competition will only become tougher. The Brazilian carried a virgin team to the title in France two seasons ago. Only James Milner and the often-missing Daniel Sturridge can claim similar experience. Neither was as integral to their Manchester City [2011/12, 13/14] or Chelsea squads [09/10] as Fabinho was to Monaco. Players who can say "been there, done that" are vital to a squad seeking to hold its advantage in the table until season's end. Klopp’s decision to sign the player can be filed under astute along with Mo Salah, Roberto Firmino, Sadio Mane, Virgil van Dijk and Alisson Becker. In the end, it is the German manager who must take credit for the amazing transformation he has brought on the team in the last two seasons. Most of his signings have been impressive and Fabinho has already proven to be among the best.